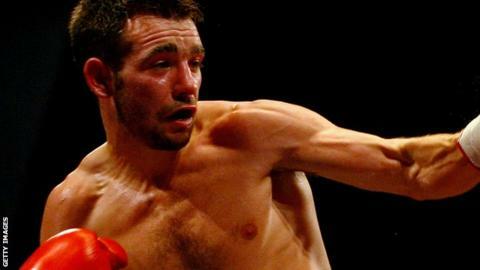 Colchester's Lee Purdy will take on American Carson Jones at the Alexandra Palace in December. Purdy, 25, won the IBF international welterweight title with victory over previously unbeaten Gumersindo Carrasco in four rounds earlier in Septemeber. Jones, who lost to Kell Brook in July, is an experienced boxer who has won 34 times in a 47-fight career. "I took my chance against Carrasco with style and I plan to do the same against Jones," said Purdy. Purdy, who is also the reigning English champion and a former British title holder, has a record of 19 wins from 23 fights, with one draw. "He fights a bit like me, loves to have a tear-up and I think this could be a great fight, and if I win it I'll am likely to move into the top five of the IBF," said Purdy. Jones, who is ranked number seven with the IBF, continued: "I honestly cannot believe he wants to fight me considering what I did to one of his stable-mates. "But I am glad to fight back in UK and think I am on my way to becoming the UK's favorite new adopted son. "I hadn't heard of Purdy until the fight was offered. I think his style is perfectly suited for me and I will go in there and take him out."